There are plenty of adults that dread going to the dentist- myself included. I’m not sure what it is that started my dentist anxiety (maybe how much it costs!? ), but I know I don’t want my kids to feel the same. We have been taking the boys to the dentist for a few years- ever since H (at the tender age of 3) broke his front tooth and had to have it removed. 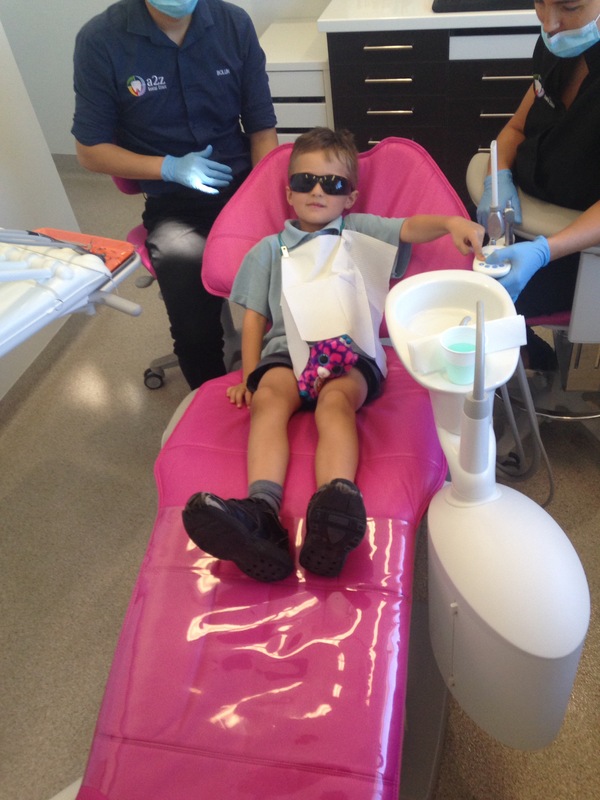 I quickly realized that having a stress free dentist visit would come largely down to what I did and how I acted- these are a few of the things I did to help the boys feel comfortable at the dentist. I used to do a lot of ‘if you don’t brush your teeth the dentist will have to give you a filling’, and ‘ooh the dentist is going to be cross with you’, but I stopped pretty quickly when I realized that a) it wasn’t working and b) it was just going to make them scared of getting their teeth checked. When we first took them to get their teeth checked I talked to the kids about what would happen. I explained to the boys what the dentist chair does, that the dentist would put glasses on their face and ask them to open their mouth and that it needed to stay open while he checked their teeth. 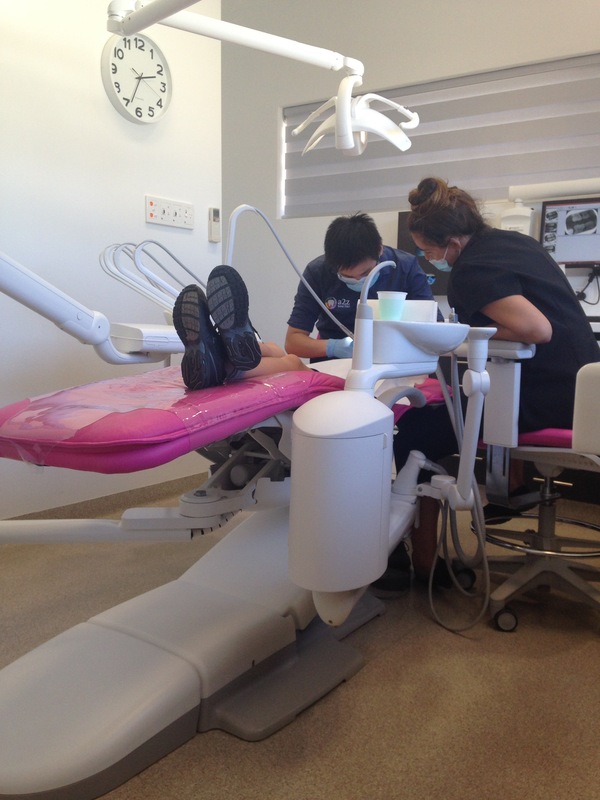 We are lucky that we have a fantastic dentist and dental nurse that are not only great with kids, but explain what they are doing so the kids don’t freak out, and make it as fun as they can. So far we haven’t had any drama when going to the dentist. I think if the kids were really shy, I’d probably take them with me for a few of my checkups so they could see what goes on, and that it’s no big deal- but only if I didn’t have to have anything done! with the way I stress out in the dentist chair, it probably wouldn’t do much to reassure them! !